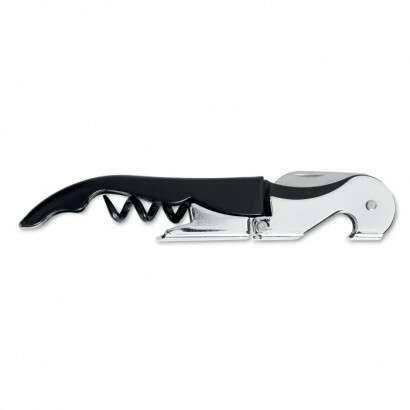 Easy way to serve chilled wines. Place the inner gel coat into the freezer, when ready place it back into the sleeve and put your bottle of wine inside. 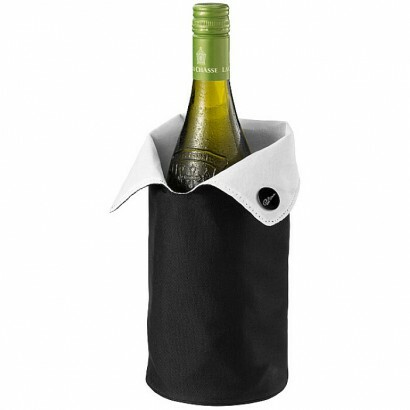 As the sleeve is foldable, it is easy to take with you on a picnic and easy for storing. Presented in a Paul Bocuse gift box. Exclusive design. 600D Polyester and PVC. 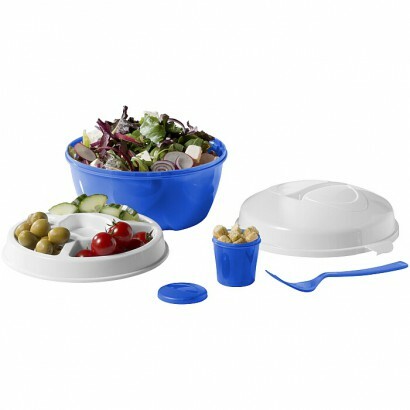 Salad bowl with removable 4-compartment saucer. Includes fork in double lock lid. Suitable for dishwasher and microwave. PP plastic. 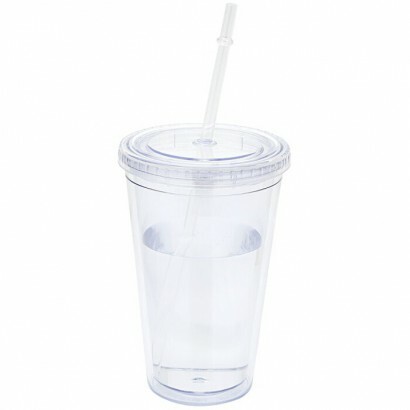 Iconic double wall tumbler with straw. Volume capacity is 450 ml. BPA free acrylic. 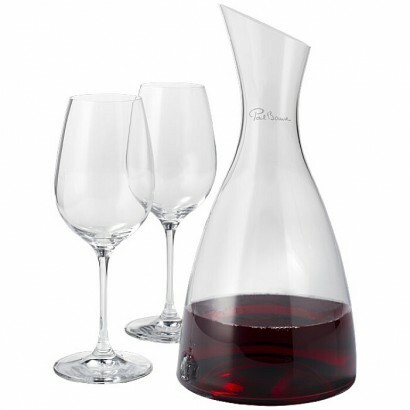 Elegant carafe for serving red and white wines. 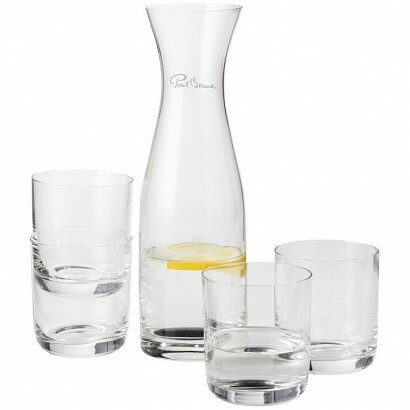 The set consists of a glass carafe and 2 matching wine glasses. Volume of the carafe is 1.1l, volume of a wine glass is 450ml. Presented in a Paul Bocuse protective drop box. Exclusive design. Glass. 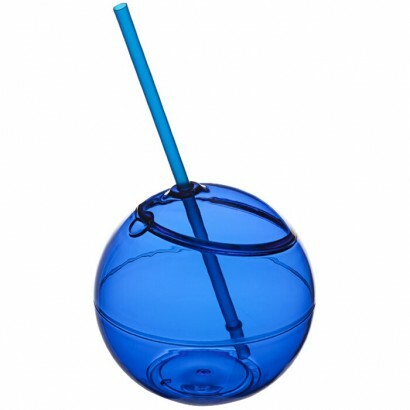 Single wall beverage holder with snap-on lid and matching straw. Volume capacity is 580 ml. Exclusive design. AS plastic body with PP plastic straw. Exclusive Marksman design 8" chef's knife crafted from stainless steel. 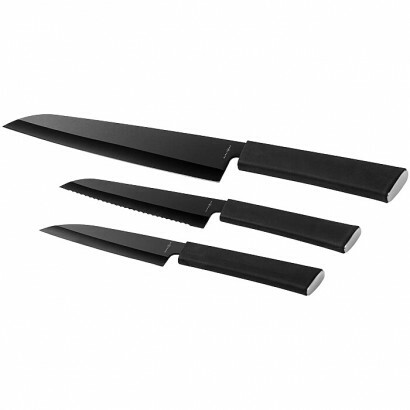 Each blade has a non-stick coating and a finely sharpened edge for superior cutting performance. Handles are made from TPR with a brushed metal cap. 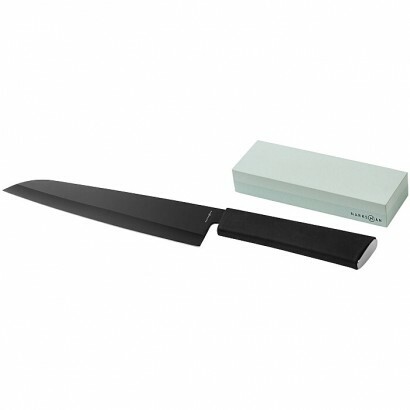 The whetstone is used for sharpening knives. Presented in a Marksman gift box. Stainless steel, TPR and metal. A basic set for preparing food in your kitchen. 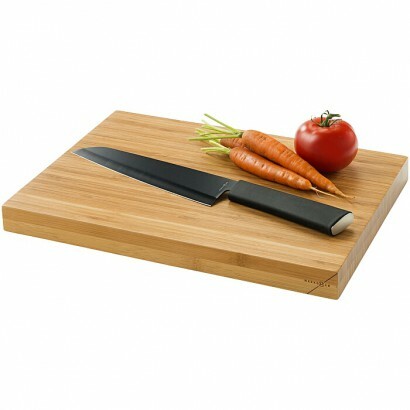 A durable bamboo cutting board and an 8" chef's knife crafted from stainless steel with a non-stick coating and a finely sharpened edge for superior cutting performance. Presented in a Marksman gift box. Exclusive design. Bamboo, stainless steel, TPR and metal. 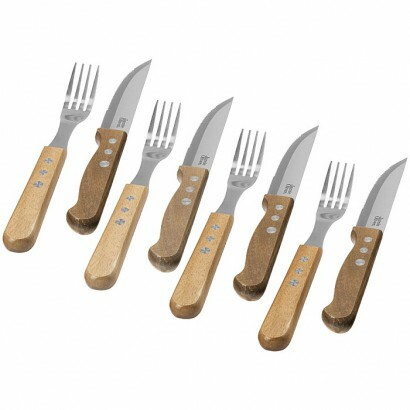 The set contains 4 steak knives and 4 forks. Supplied in a Jamie Oliver gift box (15x28.5x4.5cm) Exclusive design. Acacia wood and stainless steel. 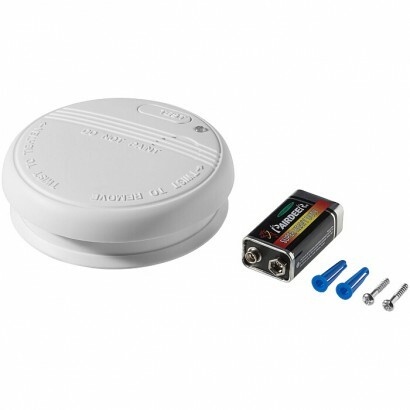 Smoke alarm detector with low level battery gauge alarm and test button. EN14604 compliant. 9V battery and mounting material included. HIPS plastic.